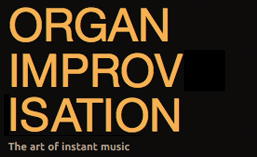 Listed below are titles concerning the study and practice of improvisation that are available for free from assorted different on-line resources. Expertise in Musical Improvisation and Creativity: The Mediation of Idea Evaluation. Oded M. Kleinmintz, Pavel Goldstein, Naama Mayseless, Donna Abecasis, and Simone G. Shamay-Tsoory. Posted in Book. Tagged Alfred Madeley Richardson, André Ernest Modeste Grétry, Arthur Clifton, C. Roy Carter, Carl Czerny, Frank Joseph Sawyer, George Elbridge Whiting, George Tootell, Hamilton Crawford Macdougall, Hennie Schouten, Henry William Richards, James Lyon, Michael Callahan, T. Carl Whitmer.